There was confusion among the oil companies and banks over who will bear the MDR charges. A detailed discussion was held on January 8, 2017 over the decision to refuse card payments to protest against some banks levying the MDR for purchase. The petroleum dealers have deferred their decision till January 13, 2017. The companies have argued that the levy of 1% and between 0.25 and 1 percent on credit/debit card transactions was hitting their profits. 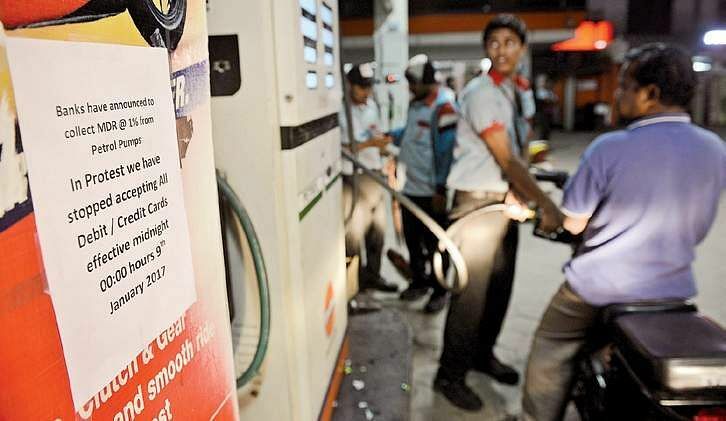 Ajay Bansal, the president of All India Petroleum Dealers Association said, “We have received an official communication from oil marketing companies that the transaction charges have been deferred till January 13. Hence, we have put off the stir”. The government, to promote cashless transactions has waived the MDR on fuel purchase for the consumers. After the 50 day window, the banks have decided to levy the MDR charges on petrol pump owners.